HINDRAF Lawyer Suresh Grover, N.Ganesan (HINDRAF Advisor) & W.Sambulingam (National Coordinator) would be present. 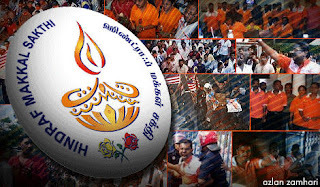 (Malaysiakini) Suresh Grover, the attorney acting on behalf of outlawed Hindu rights group Hindraf, is making the rounds of Indian communities in Malaysia, 'to collect evidence' for its civil suit against the British government. The suit, initiated and filed by Hindraf chief P Waythamoorthy (right) in 2007, prior to the group being outlawed and its leaders picked up under the Internal Security Act or forced to flee the country, has been in limbo since then. "Because of the time limitation, we must go to trial before 30 August 2013," said Grover, explaining why his evidence gathering visit is of the utmost urgency. He was speaking today to over 1,500 supporters of Hindraf and members of the Indian community at the Hokkien Assembly Hall, Klang. Grover is scheduled to visit more locations around Malaysia to meet with more citizens of Indian descent to explain about the legal challenge, gather evidence and add more names to the list of claimants. The civil suit which named the British Crown and government as the defendants, is to seek recompense for the alleged victimisation of Indians, whose forced relocation to then Malaya by the Empire, Hindraf claimed, had led to them a life of abject poverty. Grover said that it is essential that he meet with as many Malaysians of Indian descent as soon as possible to include them in the list of claimants to the civil claim and to use evidence of their current life as a basis for their abject poverty argument. However he assured those who may want to come forward that as provided under British law, their identity will be kept confidential in case of intimidation or possible reprisal by the Malaysian government. Grover also condemned the deportation of his fellow London based legal colleague Imran Khan. "It does not make sense to exclude Mr Khan, when I am also going to do the same thing. "They (the government) don't want the suit to succeed. They are afraid of you and your tenacity," claimed the London-based legal professional. Khan (left) who is legal advisor to Waythamoorthy, was supposed to accompany Grover but was deported by Malaysian authorities yesterday for being a "prohibited immigrant. Grover said that they will not stop there but will continue their fight for the case, including to challenge Khan's deportatation. "Mr Khan will travel here again," said the lawyer. The lawyer arrived at the packed hall to the cries of "Hindraf Vaalzhal!" by youths waving the orange flag of the outlawed organisation. There was no obvious police presence throughout the event although there were individuals who could have been plainsclothes officers. Prior to his arrival the sizeable crowd gave their rapt attention to videos and slideshow of photos featuring Waythamoorthy and other Hindraf leaders in heroic moments to the rousing 60s era Tamil songs. Dr Suresh Kumar: In my view, the deportation of British lawyer Imran Khan can be best concluded as a 'blessing in disguise' so to speak. If the Malaysian government had nothing to hide, it would not have committed such a shameful and deplorable act against a human rights lawyer. As a matter of fact, the Malaysian government has breached the lawyer's right to meet his clients as well as the rights of his clients to meet their lawyer. Now the British government can take cognisance of what this class-action suit is all about. This insane decision by the Malaysian government to deport Khan, who is allegedly a security threat, is totally ridiculous and shameful. It speaks volumes of the government's fear to face reality in today's borderless world. No one, can stifle the voices of truth and justice. Not even the great Lord Shiva, who taught us that truth should be spoken, no matter who you face or what you may face. You cheat the weak and the defenseless, sooner or later you will pay a hefty price for it. Hindraf/HRP need not have links with the LTTE (Liberation Tigers of Tamil Eelam) as the government stupidly accused. They have brains and the power of the pen to take on Umno or any other political party, which may want to play political games with the lives of the Indian poor. Anticommunalist: The deportation proves a lot of things. One, the Malaysian government has lot to hide from the world. Two, the fact that British lawyer Imran Khan was deported shows that he is no ordinary lawyer and one that the government fears. Hence, this is not some kind of a 'wayang kulit' show by Hindraf, but a serious attempt to get to the bottom of the root causes of discrimination against the minorities in this country by the racist Umno government since independence. Rohan: Not many have the guts to do these things. 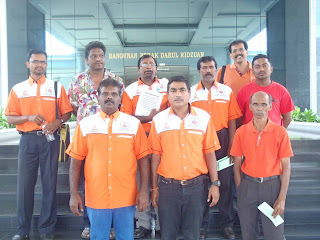 Hindraf has proven time and again that they are fearless and would confront injustice head on. Their lawyer is equally the same. He did not hide his reasons as to why he was coming to Malaysia. He was upfront but these Umno immigration had to take instructions from their masters. It is plainly clear that they fear Hindraf and their lawyer. 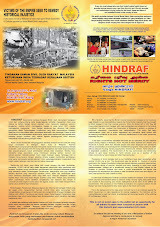 I believe Hindraf have thousands of documents to prove Umno's deceit from the time of independence. Dood: If the Malaysian government has nothing to fear, why deport foreign lawyers who are here in the country to meet their clients? How shameful. Solaris: It may seem to some that Hindraf is approaching the issue of Indian marginalisation incorrectly and that the only alternative is to vote for the opposition, but this is getting quite tiresome, irritating and passe. To me, it looks like Hindraf is attempting to address the problem at its root cause and being quite rational and methodical in its approach. Otherwise, it would not have been called a "fact-finding mission". As for Lover Boy, who said that "Malaysia has no bones with these people but it is the British who made the request that these chaps are to be deported," why then did the British Foreign office and its embassy in Kuala Lumpur try to intervene on behalf of Imran? Anonymous: Hindraf took a calculated risks. The fact that Umno deported a lawyer shows they fear Hindraf and their class action. This case would truly open a whole lot of Umno rubbish and mind you, it would be known internationally. Khairuddin Mohd Yusof: At least, Hindraf has shone the spotlight on the mistreatment of Indians at the hands of the powers-that-be. Sadly, racism seems to be very much part of life in Malaysia. The excuse given by BN is 'ketuanan', while Pakatan Rakyat's multiracial approach means Chinese and Malays only. Both show indifference towards the plight of the Indians. Sad situation indeed. Anonymous2: In 2007, Hindraf went to the British High Commission to hand over a petition and they were attacked and hundreds arrested. Now their lawyer, who came to meet them, was deported. What nonsense is this? I hope our opposition MPs would raise this gross human rights violations in Parliament. A tin mining tycoon from Ipoh had warned the British that giving special rights to the Malays would create resentment among the non-Malays. GEORGE TOWN: During the pre-independence talks, a Chinese tin mining tycoon from Perak warned the British that giving special rights to Malays would create resentment among the non-Malays. Lau Pak Kuan in a memorandum submitted to the Reid Commission has argued that “the perpetuation of unjust and inequitable laws breeds distrust, jealousy, resentment and hatred, and must in the end give rise to disastrous repercussions”. This was disclosed by Hindraf Makkal Sakti leader P Waythamoorthy who said that Lau has stated clearly to the colonial government that such provisions were undemocratic features in a democratic set-up. The memorandum to the Reid Commission was submitted on July 20, 1956, by Lau as the president of Pan-Malayan Federation of Chinese Associations (PMFCA), a coalition representing 1,179 Chinese clans. The memorandum carried the signatures of leaders of these groups. London-based Waythamoorthy said when the Federation of Malaya Bill was tabled in the United Kingdom Parliament, Lau had even gone on an international lobby to vehemently protest it. Lau had gone to London, consulted the Queen’s counsel and lobbied British parliamentarians to object to the discriminatory and apartheid-like provisions in Article 153 of the Malaya constitutional draft. In the memorandum, Waythamoorthy said Lau has cautioned that erecting barriers against non-Malays in the hope of improving the (lot of the) Malays was not a sure way of obtaining the desired effect. “Lau correctly predicted it would create class divisions among citizens,” he said. Despite the PMFCA memorandum and protests by several ethnic-Indian based organisations to the Reid Commission, Waythamoorthy said the British betrayed non-Malays and still went on to pass the bill. The British colonial government and Umno led by the country’s first prime minister Tunku Abdul Rahman later colluded to enact and legitimise the much-opposed Malaya Constitution. “After more than half century, Lau’s prediction of disastrous repercussions and a dangerous breakdown in racial ties proved to be true. “The visionary Lau was the first civil rights champion in the country. He fought social justice, equality and fairness for all under the independent Malayan umbrella,” claimed Waythamoorthy. Waythamoorthy is scrutinising the pre-independence documents to prepare for his US$4 trillion class-action suit against the UK government. He originally filed the class-action suit in London on Aug 31, 2007, the 50th anniversary of Malaysia’s independence, to demand compensation for Indian Malaysians, whose ancestors were brought in by the colonial government as indentured labour. However, the suit was stalled following the Malaysian government’s clampdown on Hindraf and the arrest of several lawyers under the Internal Security Act (ISA). The suit claimed that, after granting independence to Malaya, the British had left the Indians without representation and at the mercy of the Umno government. A two-man legal team from London will be in Malaysia today to meet local clients for consideration as co-claimants in the suit. In the memorandum, Waythamoorthy said Lau had argued that the Federal Constitution was founded upon a policy of appeasement vis-à-vis Malay ultra nationalism. “To grant favouritism to one community in preference to the others would be to create a superior class and an inferior class of citizens in the future Malaya. “This would not make for inter-racial goodwill and harmony, without which Malays could not thrive. “A multi racial society must depend on goodwill and harmony for its well-being,” Lau noted in the memorandum. Lau contended that the Malays needed help not through legislation but through the co-operation of the more advanced communities. While such legislation tended to make them a privileged class, he claimed that it also reduced them to a dependent and undignified community. “Malays must not expect to be spoon-fed and be made to lose all senses of incentives. They must be trained the hard way to rely on their own efforts and initiatives for success,” Lau said in the memorandum. He said for the good of the country, all unequal and unjust laws should be scrapped and citizens of all races should be accorded equal and just treatment. He said voluntary inter-racial co-operation and goodwill would ensure a new era of hope for Malaya. The memorandum urged for the new constitution to be written before independence and all existing discriminatory and unjust laws be revoked. “Equal treatment must be extended to all citizens without distinction as to race, colour or creed,” Lau said in the memorandum. Lau was a founder-member of the Malayan Chinese Association (MCA) in 1949 together with Tan Cheng Lock, Leong Yew Koh and Lee Hau Shik. The prominent businessman quit MCA following his unsuccessful London mission. Born in 1894, Lau came to Malaya in 1912 when he was 18. He passed away on April 16, 1971 and is survived by three wives, six sons and three daughters. In recognition of his dedication to the people of Ipoh, the council named a one-km stretch of road as Jalan Dato’ Lau Pak Kuan in Ipoh Garden. In 1966, Lau became the first ethnic Chinese leader to be awarded the Datuk Seri title by the Perak Sultan. On July 30, 2011, in the annual session of the Malaysian Indian Congress (MIC), the Malaysian Prime Minister Najib Abdul Razak made the surprising announcement that the Barisan Nasional will soon appoint MIC President Dato G. Palanivel as another Cabinet Minister, thus fulfilling one of the long pending demands of the Indian community. During the stewardship of Tunku Abdul Rahman, the first Prime Minister, the MIC had two cabinet posts, which were occupied by Sambanthan and Manickavasagam. During the stewardship of Tun Abdul Razak, the Party’s representation in the Cabinet was reduced to one, but he allotted MIC additional positions of Ministers of State and Parliamentary Secretaries. There were two reasons for that decision. The Malay pre-eminence in the political life of Malaysia was getting further entrenched and, what is more, the Malaysian Chinese Association (MCA) and the MIC were prepared to play second fiddle to Malay leadership. More relevant, the MIC Presidents – Manickavasagam and Sami Velu – were not very keen to have another cabinet colleague, lest he pose a challenge to their political supremacy. While Najib Razak’s announcement was greeted with thunderous applause by MIC delegates, the overall reaction among Malaysian Indians was not very favourable. The first was question of political morality involved in appointing Palanivel as a cabinet minister. He lost the 2008 parliamentary elections. Is it proper to rehabilitate a defeated candidate through back door tactics? Second the timing of the announcement was inappropriate. The elections to Malaysian Parliament are due in 2013, very often the elections get pre – poned depending upon the political assessment of the Prime Minister. With the Malay votes evenly split among UMNO, Partai Islam and Pakatan Rakyat, the Indian and Chinese votes play a crucial role in tilting the political balance. The Indians, during early years of independence, have voted for the candidates of the ruling alliance. Therefore, it is argued, with certain amount of justification, that the gesture was timed to attract the Indian voters back to MIC and ruling Barisan Nasional. There is also a contrary feeling that if the Malaysian Government is genuinely committed to the welfare of the Indian community, instead of announcing another cabinet post for the MIC, the Prime Minister should have spelt out in detail what his government proposes to do to tackle the manifold problems facing the Indian community. While Malaysia has made substantial economic progress during recent years, the fruits of development have not percolated to the poorer sections of the Indian community. They remain impoverished and politically marginalized. The Indians in Malaysia are the descendants of those who went to Malaya in the 19th and 20th centuries to provide the much needed labour for the development of rubber plantations. It was due to their sweat and toil that the plantation economy was developed and the export of rubber, as is well known, was one of the pillars in which the prosperity of the country was based. The plantation workers throughout the world, during the colonial era, was victimized and exploited; however, there was a rhythm in their lives, from birth to death, they depended upon the plantation management. They were like creepers around a tree. One significant fall out of Malaysia’s economic transformation is the disintegration of the plantations. During recent years, the plantations have been converted into housing estates, industrial parks, golf courses and luxury homes. And the poor Indian workers, without adequate compensation, migrated to urban areas and became urban squatters. The changing nature of the plantations and the role of the Indians in the plantation economy are well described by Prof. Ravindra Jain, former Professor in Jawaharlal Nehru University, New Delhi. In early 1960’s Prof. Jain made an in depth study of the rubber plantation in Pal Melayu. Prof. Jain revisited the estate again in 1998-99 and his conclusions graphically portray the progressive deterioration of the Indian community. First, change in the cropping pattern. In 1962-63, 95 per cent of the cultivated area was devoted to rubber, whereas in 1998-99, it was 13 per cent rubber and 87 per cent palm oil. Whereas in 1962, there were 541 labourers, it came down to 161, a reduction of 70 per cent. The ethnic composition of the workers had also undergone changes. Whereas in the earlier period, the work force was exclusively Indian, in 1999, 50 per cent was Indian, 41 per cent Indonesian and 8 per cent Bangladeshi. As mentioned earlier, thrown out of jobs in the plantations the Indians started migrating to urban areas. The conditions of the urban squatters, to say the least, are deplorable. It should be a matter of serious concern to all Malaysians, especially, to Indian leadership. Lacking in education and deprived of proper employment, many young Indians are taking to crimes. Few years ago, the popular journal, Aliran, provided statistical details, which made alarming reading. 40 per cent of serious crimes in Malaysia are committed by Indians; there are 38 Indian based gangs with 1,500 active members; during last few years there had been a hundred per cent increase in the number of Indian gangsters; Indians recorded the highest number of those detained under Emergency Regulations and banished to Simpang Rengamm prison. In the field of social woes, 14 per cent of the squatters are Indians; they have the highest suicide rates; 41 per cent of the vagrants and beggars are Indians; 20 per cent of the child abusers are Indians and also 14 per cent of the juvenile delinquents. Few years ago, Samy Velu, then President of the Malaysian Indian Congress, deplored the plight of thousands of estate workers “living in squalor in slums, in dozens of long houses and squatter settlements all over Selangor”. While the Indian middle classes are faring well in professional jobs – teaching, law, medicine etc – the poorer sections are getting impoverished and marginalized. Compounding the situation, many of them do not have citizenship papers and identity cards; several are drop outs from schools and do menial jobs. What is more, destruction of Hindu places of worship has become a common phenomenon, which galvanized the Hindu Rights Action Force (HINDRAF) to step into the scene. The spontaneous protests and demonstrations organized by the HINDRAF hit newspaper headlines few years ago. Equally relevant, the educated Indians are also rallying behind BERSIH, which is protesting against many undemocratic practices of the Malaysian Government like the notorious Internal Security Act (ISA). In the 1998 parliamentary elections, there was a political tsunami, the Indians voted overwhelmingly against the ruling alliance, important leaders of the MIC, including Samy Velu and Palanivel, were defeated. The Prime Minister’s announcement of another cabinet position for the MIC and the MIC President’s assurance that the Party will be able to mobilize Indian votes for the ruling alliance have to be viewed in this perspective. To what extent has the MIC been able to protect and foster the interests of the Indian community? Ask this question to any Malaysian Indian, invariably the answer will be in the negative. Factional struggle and disunity had been the greatest bane of Indian community in Malaysia. Fight for power, politicking and mud slinging have characterized intra-party affairs. The rivalry between Devaser and Sambanthan, Sambanthan and Manickavasagam, Manickavasagam and Samy Velu, and during the long spell of Samy Velu, among Samy Velu, Subramaniam and Pandithan does credit neither to the MIC nor to the Indian community. Disenchanted with the policies and programmes of the MIC, the younger generation is joining opposition parties like the Democratic Action Party, Gerakan, Peoples Progressive Party and the Pakatan Rakyat. It must be pointed out that there are more Indian members of Parliament from opposition parties than from the MIC. The Samy Velu era was the wasted years of the MIC. It was tragic because when he became President, after the demise of Manickavasagam, he had tremendous good will both among the Indian community and the Malaysian national leadership. Many self-help projects initiated by the MIC for the upliftment of the community, during this period, turned out to be colossal failures. The Malaysian Indian community is at the cross roads today. A disenchanted and frustrated Indian community can turn out to be serious ailment for Malaysia. It should be pointed out that one reason for the rapid improvement of the status of the Malays, the indigenous community in Malaysia in the post-independence era, had been the vigorous implementation of affirmative action in favour of Malays followed by successive central and state governments. The Indian community in Malaysia is the most disadvantaged community in Malaysia today. It requires sympathetic attention of the Malaysian Government. Those who are below poverty line should be brought under the purview of affirmative action, in the field of education, award of scholarships and recruitment to government jobs. The words of Dr. Ambedkar, the architect of the Indian Constitution, comes to my mind, “if a mother has four children, and one among them is handicapped, the handicapped child, should be given greater care and attention”. Perfect equality in societies, where there are handicapped, will only perpetuate inequality. Racist and vindictive UMNO A.G. Gani Patail nyaya Indian poor A. Muthusamy (37) for 12 long years: HRP rescues him as amicus curies. This morning Muthusamy Arumugam (37) a driver was seen wondering helplessly at the Selayang Magistrets Court with no help from the Court Interpreter, police or the Deputy Public Prosecutor (DPP). It was the whole Malay-sian state versus the one Indian poor man, Muthusamy. Muthusamy telling the Court Interpreter that he cannot afford a lawyer. Feeling sorry for him P. Uthayakumar who appeared for the Hindraf 5 anti Interlok and anti UMNO racist Rally on 27/02/2011 activists asked Muthusamy what he was charged for. Muthusamy said that he was racially discriminated by his capitalist Chinese his boss at his work place argued but he was charged for punching him after which he was immediately sacked. Immediately after the Hindraf case was adjourned Muthusamy’s case was called up and he refused to plead guilty. The DPP Chin Kian Chun informed Magistret Puan Nurul Hafizah binti Kamaluddin that this is a year 2000 case, the Investigating Officer was present but the complainant was not present. The 95% Malay Muslim Malay-sian Judiciary together with the DPP, court Policeman and Indian mandarin Court Interpreter were about to “squeeze” Muthusamy into pleading guilty when P. Uthayakumar stood up and said that he was appearing as amicus curie, la friend of the court. Uthayakumar submitted that as this is a 2000 matter and is 12 years ongoing. And the accused has been punished enough as he had already attended court on 10 occasions. Justice delayed is justice denied. Uthayakumar briefly also addressed the Court that as the complaint was not present in Court, he is not interested and the prosecution can always re-charge the accused when they are ready. The case against Muthusamy was discharged not amounting to an acquittal (DNAA) ie he was set free to go. Muthusamy’s misery was instantly relieved. But he initially could not believe it. Rightly the racist and powerful UMNO Attorney General should have had the decency to gracefully withdraw the charge. But this graceful culture does not exist in civil society One Malay-sia. This case of Muthusamy is just the tip of the iceberg of the racist UMNO Judiciary and system of law and order against the helpless and soft target Indian poor. Almost 99% of the Indian poor similarly are forced to plead guilty simply because they are poor and have no money for bail and cannot afford to pay for a lawyer. And the RM 5 million P.M. Najib’s Razak’s wayang kulit Legal Aid at RM 0.17 average per Malaysian is a mere joke! This is among the main reasons why the crime rate among the Indians is reported to be 45% when they form a mere 8% of the population. Give any Indian equality, equal vocational and career opportunities, equal business opportunities and the crime rate among the Indian poor will be reduced by 95%. No Indian wants to be a criminal when they are granted equality in self employment, licenses, business opportunities etc. If not for the economic contributions of the Chinese and Indians, Hindraf leader P Waythamoorthy says, the newly-born nation would have gone bankrupt. GEORGE TOWN: The Federation of Malaya would have gone bankrupt if ethnic Indians and Chinese had not adopted the fledgling independent nation as their home, said Hindraf Makkal Sakti chief P Waythamoorthy. “We should be grateful to Indians and Chinese who sacrificed their rights to save the newly-born Malaya from economic ruin,” he said when revealing findings of his research into thousands of documents pertaining to Malaya’s pre-independence talks. He said the then auditor-general HM Watson’s report on the accounts of Federation of Malaya as of Dec 31, 1957 revealed that rubber and tin export constituted the top two contributors of export duty for the country. Rubber contributions made up 68% of tax revenue at $124.4 million in 1957 and $143.9 in 1956. Tin contributions came in second at 28%, generating tax revenue of $54.2 million in 1957 and $60.2 million in 1956. The workers in the rubber industry were predominantly Indians while the Chinese dominated tin mining. “If the British deported the Indians and Chinese out of the Federation following independence, obviously Malaya would be bankrupt instantly,” he said. His studies also revealed that Malaya would not have survived if the Straits Settlements of Penang and Malacca stayed out of an independent Malaya and remained British crown states. He said Penangites and Malaccans were British subjects then entitled to United Kingdom citizenships and the Malay rulers had no powers over these two states. “But the non-Malays sacrificed their rights to make Malaya their home,” he disclosed. He said ethnic Indians and Chinese were dominant communities in the Straits Settlements then, numbering some 1.3 million. The difference in population and property ownership between the two communities was razor thin. The total population of both Malays and non-Malays in the other states was about four million then. During constitutional talks and submissions to the Reid commission, Waythamoorthy said document revealed that the Tunku Abdul Rahman-led Umno delegation wanted the Straits Settlements to be part of the federation in return for citizenship and equality for non-Malays. He claimed that Umno later manipulated and colluded with the British to make the provisions in Article 153, which governs the Malay special position, a permanent feature against their submissions and undertakings to the Reid Commission. “The country would have been impoverished should the Indians and Chinese decided to stay out of the Federation while Penang and Malacca remained as British colonies. “Should the two states have remained under the British, the ethnic Indian and Chinese populations would be entitled to equality under the British laws. They would have prospered. “It would have encouraged Indians and Chinese in other states to migrate to the Crown Straits Settlements and they would not be subjected to a racist system and be treated as second-class citizens like today,” argued the London-based Hindraf chairman. Waythamoorthy is scrutinising the pre-independence documents to prepare for his US$4 trillion class action suit against the former colonial master, the British government. He originally filed the class action suit in London on Aug 31, 2007, the 50th anniversary of Malaysia’s independence, to demand compensation for Indian Malaysians, whose ancestors were brought in by the colonial government as indentured labour. However, the suit was stalled following the Malaysian government’s clampdown on Hindraf and arrest of several lawyers under the Internal Security Act (ISA). Hindraf’s London-based lawyers would be in Malaysia for several days from Thursday onwards to meet potential ethnic Indian clients to become co-claimants in the suit. Waythamoorthy said his findings proved that the newly-born Malaya was “over-dependent” on the economic contributions of the Indian and Chinese communities. He said the rubber and tin industries generated other parallel revenues and development for the country such as infrastructure, transport and taxes. He believes that the socio-economic factor compelled the British to keep the Indians and Chinese in Malaya. He said the British wanted to protect the interests of their business and that of Malay rulers, who were direct beneficiaries of the contributions of the so-called “pendatangs”. 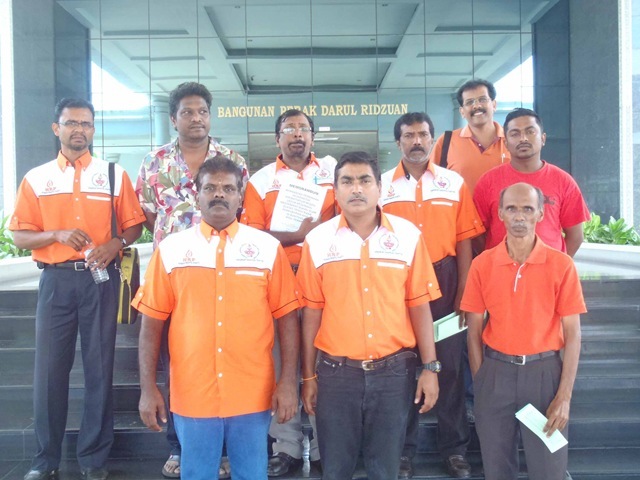 Mr. Ramesh and HRP supporters in Perak feel that Malaysian Indians are not given their legitimate rights that are stated in the constitution i.e. educational rights, business opportunities and also job opportunities. All grass root supporters are direct or indirectly victims of marginalisation. He adds that the people have actually approached other Indian parties for aid or assistance, however as usual, empty promises are given. Indians in general are aware that they have been pratically sidelined by government in terms of educational rights, job and business opportunities. In terms of publicising the upcoming 14th August event, Mr. Ramesh and HRP Supporters in Perak have been distributing flyers and have held mini forums to educate and explain to people on what this event is all about. Generally Indians are aware that they have been sidelined for years. However, Mr. Ramesh does feel that HRP needs to do more in educating Indians of their deserving rights. Our Constitution states that there is equality for every single Malaysia Citizen. However , Mr.Mohan and HRP Supporters in JB are not satisfied as they feels that is it just a mere saying. Indian have been denied their rights for many years and are still being denied to their rights to higher education, business opportunities, job opportunities, etc. All grass roots supporters are directly or indirectly victims of marginalisation. According to Mr. Mohan, the people JB generally approached HRP for help and support. They did not approach other indian parties. With regards to the upcoming 14th August event, publicity of the event was done through flyers, brochures as well as small gatherings. Generally the people in JB are aware that they have been sidelined. HRP is getting very strong support for the people of JB and positive feedback with regards to the upcoming forum. The movement's London-based lawyers will be down to meet potential clients for the class action suit against the British government. GEORGE TOWN: Hindraf Makkal Sakti’s London-based lawyers, who will be here starting Thursday, want to meet potential co-clients for the class action suit against the British government. In a statement to FMT, Hindraf counsel Imran Khan said he would be in Malaysia for several days to accept instructions from ethnic Indians as their legal representative in order to consider including them as co-claimants in the suit. The two-man delegation would also engage in a fact-finding mission to obtain first-hand information on the perceived injustices meted out on ethnic Indians. Hindraf would be organising a public forum on this at the Hokkien Hall in Klang on Aug 14. Imran said the suit was initiated by Hindraf chairman P Waythamoorthy due to the former colonial master’s failure to protect the ethnic Indian community’s rights, interests and benefits under the Malaya Federal Constitution. He said his client saw the legal action as a class action on behalf of current ethnic Malaysian Indians, whose forefathers were transported as labourers under the indentured labour system. He pointed out that Waythmoorthy’s own great grandfather was forcibly abducted and transported to Malaya as a labourer. The indentured labour system was devised by the British colonial office to address the acute labour shortage in Malaya. Most ethnic Indians were brought in to work in rubber plantations. Waythamoorthy’s research of British records on Malaya revealed that rubber export was undisputedly the number one revenue earner for the country for decades, even after independence. He originally filed the class action suit on Aug 31, 2007, in conjunction with the 50th anniversary of Malaysia’s independence, in London seeking US$4 trillion as compensation for Indian Malaysians. However, the suit was stalled following the Malaysian government’s clampdown on Hindraf and arrest of several lawyers, including Waythamoorthy’s brother and the movement’s legal adviser P Uthayakumar, under the Internal Security Act. Among others, the suit claimed that after granting independence to Malaya, the British had left the Indians without representation and at the mercy of Malay extremism practiced by the Umno government. Following Waythamoorthy’s instruction in 2009 to re-file the stalled class action, Imran had the opportunity to consider several documents pertaining to the independence of Malaya. After a perusal of the documents, Imran and Waythamoorthy had a conference on issues of relevance with a senior Queen’s Counsel in June, 2010. “Due to client confidentiality, I am not able to reveal the outcome of the conference,” said Imran. Acting on the QC’s advice, Imran wrote to the UK Foreign and Commonwealth Office (FCO) in London to request the release of all documents pertaining to Malaya’s independence. The documents kept under the British Freedom of Information (FoI) Act 2000 were mostly from the period between 1945 and1957. Imran said FCO recently confirmed that some documents in its possession remained classified. Access to those documents would not be possible until FCO consulted relevant departments before deciding on whether to declassify the documents. As of now, the FCO had used its discretionary powers vested under the FoI to deny Hindraf access to the documents. Following this, Imran took legal steps under the recommended appeal procedure to challenge the FCO decision.